What is worse than living on a large, deprived council estate? Living on a small, deprived council estate, perhaps. Ipswichs Triangle estate, more popularly known as the Dickens estate by locals, is an isolated pocket of relative poverty between the Hadleigh and London roads; named for its shape, it contains a couple of hundred 1950s houses along half a dozen streets, thats all. If it suffers from the disadvantages of its bigger cousins, it has few of their advantages; no shopping centres or sports centres here. It is better than it used to be. 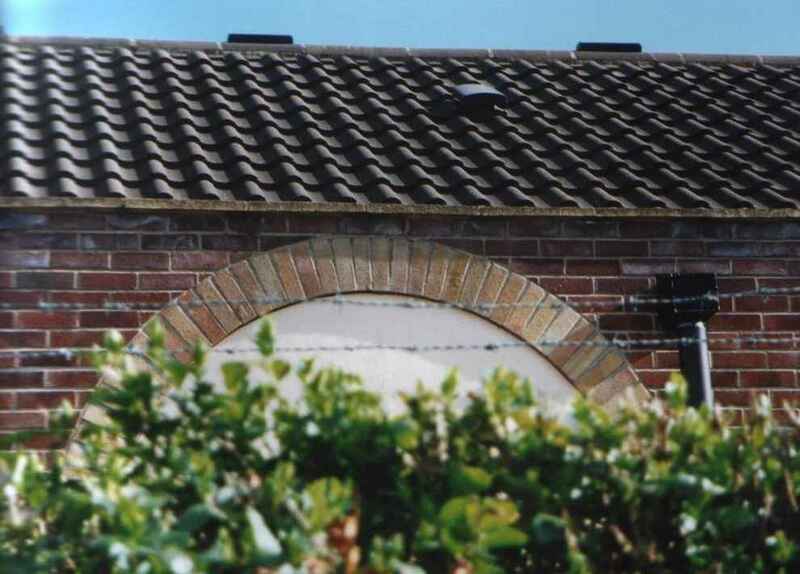 The Borough Council has spent millions on bringing homes up to scratch, both here and on its larger Chantry, Gainsborough and Whitton estates. Sainsburys have built one of those huge supermarkets on what was once the grim industrial wasteland between the Triangle and the town centre, and the site of the former Harris slaughterhouse and meat-processing factory at the north end of Dickens road is also about to be developed. Generally, people have responded well, giving their fences a lick of paint, and developing a bit of pride in the place. There is far less vandalism than there used to be. I remember being on a bus passing through the Triangle about five years ago, when someone fired an air rifle at a side window. It shattered with such a noise that my ears rang for hours afterwards. But this kind of thing doesnt happen anymore. As anywhere in urban Britain, there is still a certain amount of drugs-related crime, but on an estate like the Triangle, people look out for their own. Outsiders are not exactly queuing up to move in, but it is probably not a bad place to grow up these days. One of the reasons I like living in Ipswich is that the Borough Council are pretty good at what they do, and the town has a strong sense of community. They are particularly good at providing facilities on the estates, not just in the town centre. About ten years ago, they extended the community centre and built a housing office here in a joint venture with the Anglican parish of St Matthew, into which the Triangle falls, and which already had a presence on the estate. Most of the residents of St Matthew parish live in the 19th century terraced streets between Norwich Road and Bramford Road, quite a different part of town to here. 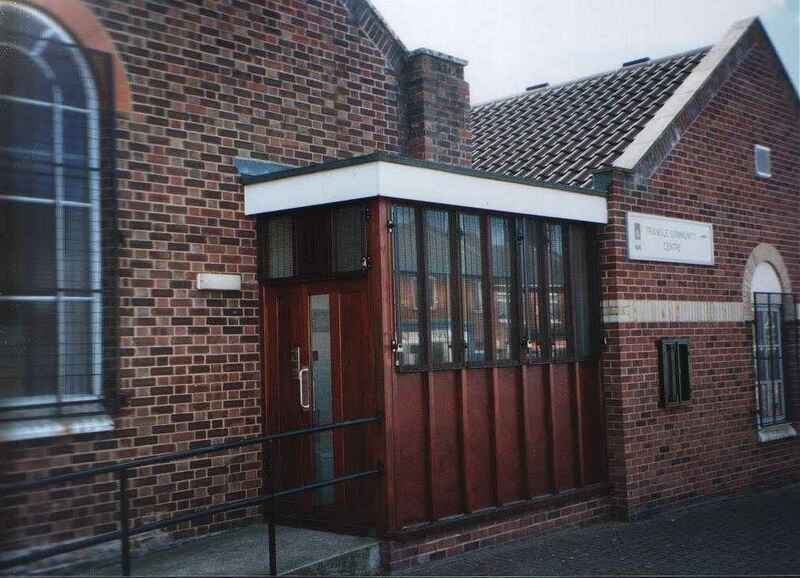 So, back in the 1970s, the parish had attempted to counter the isolation of the Triangle by operating an out-station in the then Dickens Road community centre. In keeping with the evangelical character of St Matthew, Triangle Church was never given a dedication. It is a long hall, designed for a multi-purpose role. As well as hosting part of the parishs round of Sunday services, it could also be used in the week by church and community groups. The Borough Council built the new community centre on to the side of the church. The main entrance is a wooden porch in front of the older part of the building. 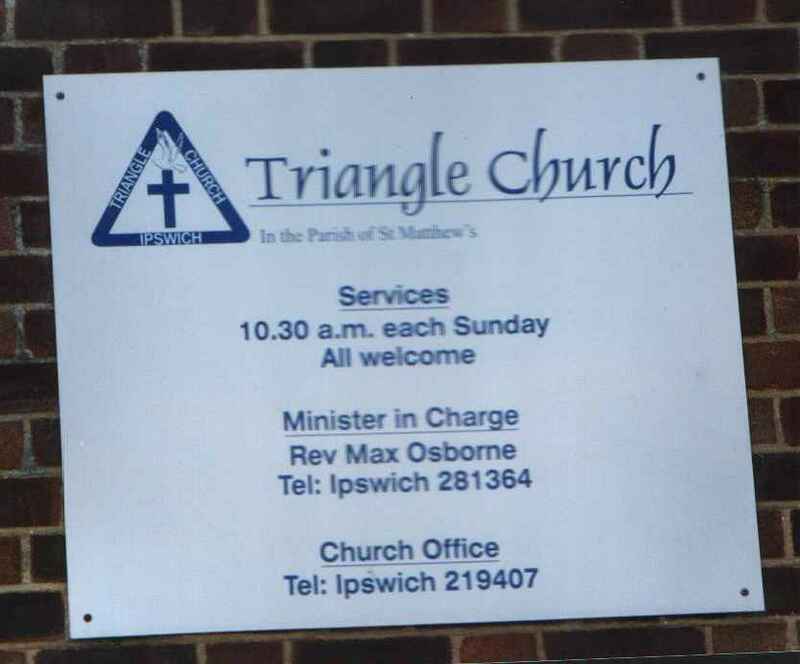 The Triangle Church looks very similar to the independent Baptist churches you find all over Ipswich  it takes a second glance to realise that it is, indeed, an Anglican church. Unfortunately, all your glances must be at the outside, unless you attend a service or function here. 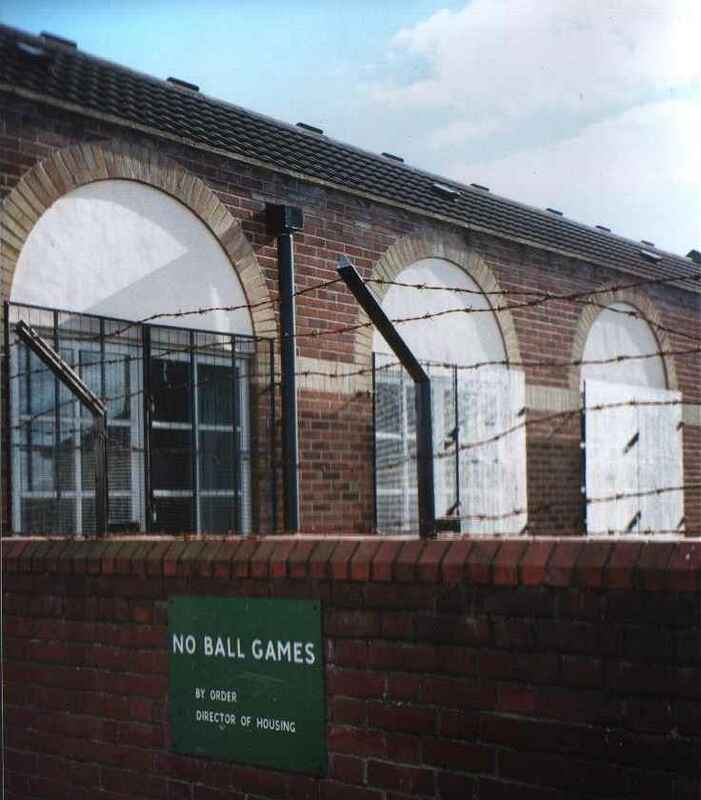 The building is kept firmly locked, its windows are covered by grills, and the barbed wire put up by the Borough surrounds the compound alongside Copperfield Road. This is, of course, very ugly, and if I lived here I would resent the implication. 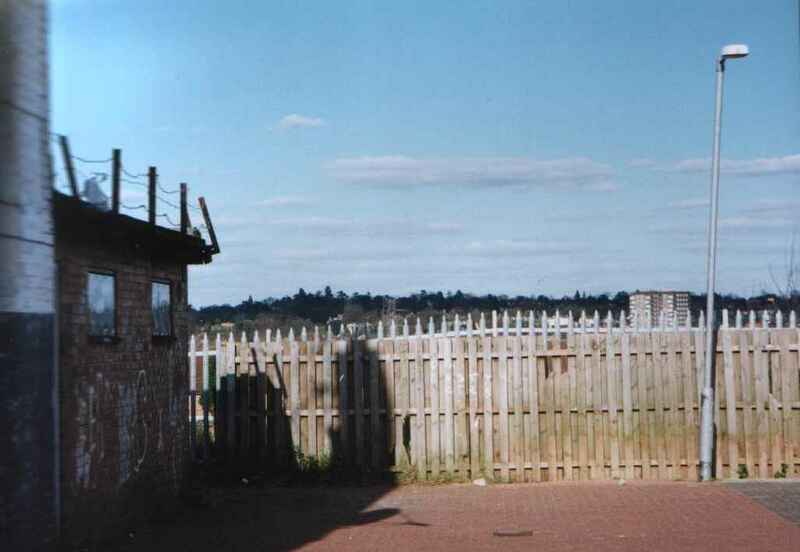 Across the road, a graffitied car-park overlooks the steep drop to the railway yard, and the tower-blocks of central Ipswich stand beyond. Hardly an inspiring sight, and not much of an encouragement for the estate to have pride in itself. However, the church has extended its community involvement by opening a shop opposite. Living Water has proved very successful, not only as an outlet for good quality second-hand clothes and books, but also by providing washing machines, a reasonably-priced café and a tool bank. It is always our first port of call when we are having a clear-out, and I hope anyone in reading this in the Ipswich area will do their best to support them. This is still a needy estate, and when you consider that Living Waters neighbours are a betting shop, an off-licence and a Chinese takeaway, youll realise the extent to which the church is kicking up-bank by encouraging people to take their lives seriously.